CREATING A WINDOWS 2008 SNAPSHOT FAILS – SNAPSHOT 0 FAILED: FAILED TO QUIESCE THE VIRTUAL MACHINE. 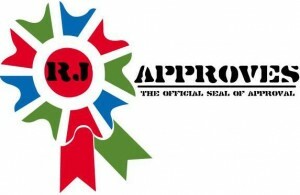 (40) | RJ Approves This Message! > Occurs when the snapshot is created without snapping the virtual machine’ memory and choosing to quiescing the guest vm. > Issue occurs because a quiesce snapshot requires one available scsi slot per disk. > Fix is to either power down the vm and spread the disks across other scsi controllers OR create another thin disk on SCSI1:0 and then create the snapshot. I ran into this the other day and tried it on my home lab as well. Turns out windows 2008 vm fails when you choose to quiesce the snapshot but uncheck the snapshot virtual machine’s memory. The kb article showed what the issue was. The issue occurs when the scsi controller presented to the windows vm has more than 7 disks i.e – when a quiesced snapshot is taken – it requires one free scsi slot per disk. Obviously having more than 7 disks will leave less empty slots and hence it fails. The kb article listed two work arounds – either power off the vm and move the disks over to another scsi controller OR create another disk and attach it to a secondary scsi controller. You can change the scsi controller as shown in the below pic. Link to the KB article is here.